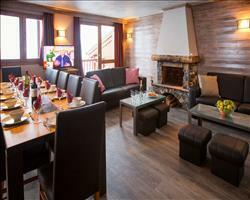 Chalet Coucher du Soleil is set in a highly sought after position in one of the most snow sure resorts in Europe. Only 2 minutes’ walk (approx.) 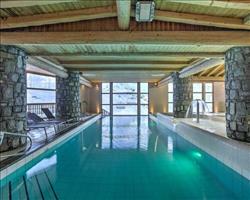 to the Plein Sud piste and Cascades lift, this is an amazing location for accessing the immense 3 Valleys ski area. 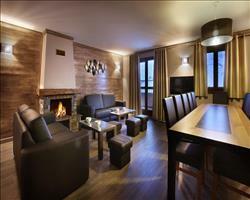 The chalet’s position on the Rue de Soleil brings uninterrupted views of mountain Cime de Caron at 3220 metres. The proximity to the vibrant centre means it is ideal for accessing the ski school and abundance of bars, shops and restaurants in Val Thorens. The public lift and bus stop taking you to the town centre are only a 40 metre walk (approx.) either side of the chalet. Room 3 deduct £7 pp/pn for adults, children aged 2-11 yrs pay half the adult full price. 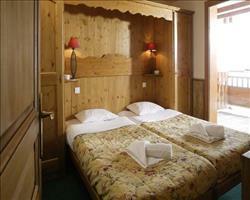 We update Chalet Coucher du Soleil's details often, but facilities do change. e.g. some extras listed by the supplier as "free" or included might only be for the first time you use them, or for one time per party, then charged for further use. If any specific feature is essential to your holiday, make sure you ask us to confirm the details of it before you book your holiday. 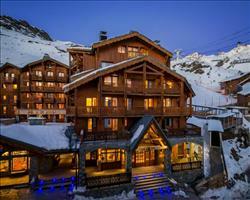 This all inclusive holiday to Chalet Coucher du Soleil in Val Thorens, France departs Saturday 14th December 2019, for a 7 night stay on a "catered chalet" board basis. A local tourist tax (Taxe de Sejour or Kurtaxe) is levied by many councils in European ski resorts. It varies by standard and type of accommodation and is age dependent, so not everyone is charged. It's not included in the basic price of your holiday and is usually paid locally. For reference, the average charged in winter 15/16 was between 50p and £2 per person, per night. Val Thorens lift pass price last reported as €208 (Adult 6 day). 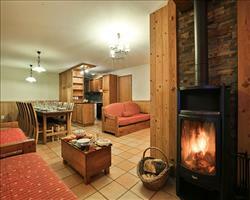 Ask for a quote when booking Chalet Coucher du Soleil.